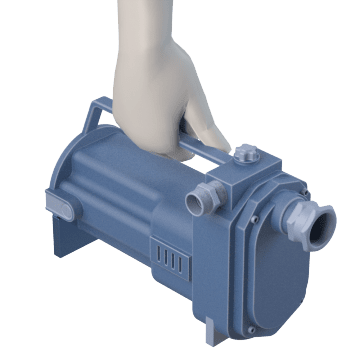 Commonly used to transfer liquid from a storage tank or in dewatering applications, these self-priming pumps create a vacuum to pull fluid up from the source. 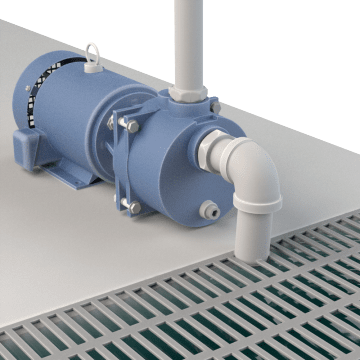 They have a built-in reservoir that recirculates the fluid in the pump during the priming cycle, allowing the pump to remove air while still pumping fluid. Self-priming centrifugal pressure pumps require fluid in the reservoir for operation. They are compatible for use with non-flammable liquids and chemicals. 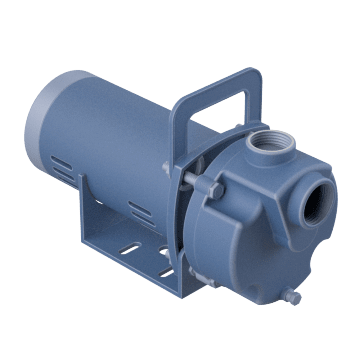 Use these pumps to transfer non-abrasive liquids from tanks or drums and in general utility tasks. Pumps must be used with a separate, external control box. 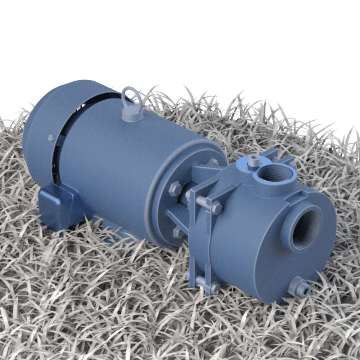 Designed for use in demanding, high-volume commercial and industrial settings, these highly durable pumps are commonly used for processing, irrigation, dewatering, and liquid and chemical transferring. These pumps have corrosion-resistant housing and components which can handle saltwater-based applications. They are also known as marine pumps. 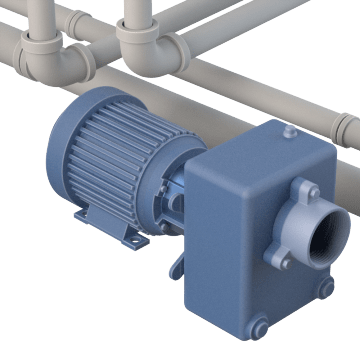 Ideal for transferring water, irrigating, sprinkler systems, and dewatering, these pumps quickly self-prime, and can push high volumes of water through the system. They also feature an easy-access drain plug. 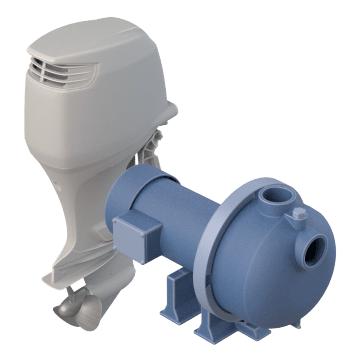 Designed for easy portability, these pumps provide a temporary solution for transferring water, increasing water pressure, or draining water tanks. They are not recommended for permanent use.